The Law Office of James Novak is an Arizona criminal defense firm that protects the rights of clients in DUI, misdemeanor, and felony cases. The Tempe DUI defense firm offers free initial consultations, and is available 24 hours a day, 7 days a week to help those taken into custody on criminal charges. Attorney James Novak charges all-inclusive, flat rate affordable fees with no hidden costs. Law firm clients receive the services of a former Arizona prosecutor and experienced trial lawyer. Mr. Novak has defended and prosecuted scores of DUI and criminal cases. His accomplishments include getting dozens of extreme drunk driving and felony drug charges dismissed for clients. In each case, Attorney Novak's goal is to have any criminal charges dismissed or reduced. 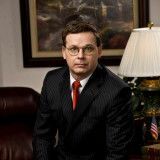 Attorney Novak is admitted to practice law in all Arizona state and federal courts, as well as the U.S. Supreme Court. He is a member of the National Association of Criminal Defense Lawyers. The Law Offices of James Novak received an A+ rating from the Better Business Bureau. James Novak holds a host of professional degrees that contribute to his clients' successes. His law degree from the Thomas M. Cooley Law School is the foundation of his legal education. His MBA is a powerful tool when defending clients charged with financial crimes. His master's degree in psychology, counseling and education helps clients in addiction-related mitigation hearings. What You Need to Know About Your Rights in a Frisk: Arizona Supreme Court considers factors that create reasonable suspicion to justify police frisk.